Magnolia Verandah: Strawberry and Passionfruit Jam... not yet! 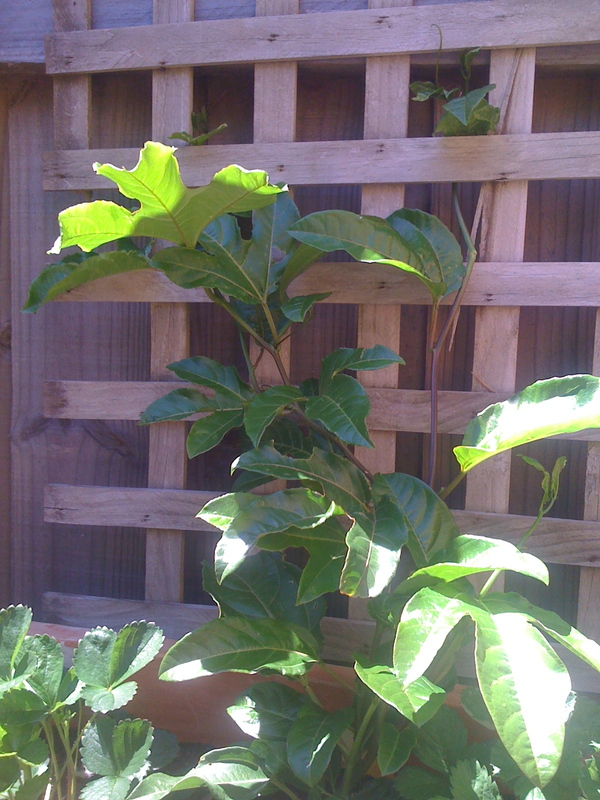 A few weeks ago at our local street market I bought two strawberry plants and a passionfruit vine to plant up the back of the garden somewhere. 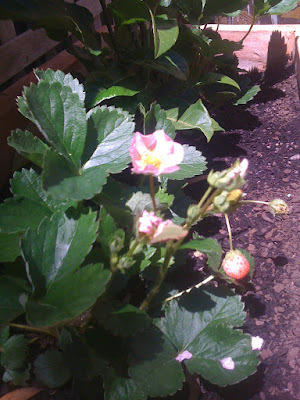 The two little strawberry plants (can't call them a bush yet) one showing several flowers and promising fruit the other nothing! And still nothing! They live happily sandwiching the passionfruit that is going great guns climbing the trellis the man nailed to the fence as assistance. 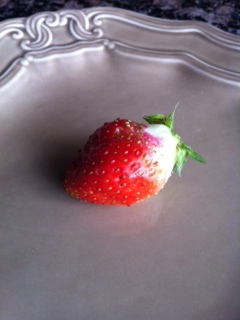 On the weekend I picked our first strawberry (I couldn't risk leaving it for the birds). So with great ceremony I washed and wiped it, put it on a plate and cut it in half for the man and me.......... delicious! I think it might be a little while before jam is on offer though. Aah - poor little strawberry. I never get enough strawberries from our plants to make a pot of jam - usually it's a race to see who gets to them first, me or the birds! What a shame - I was looking forward to a recipe for this jam! Will sort out a jam recipe soon. I'm sure I made a comment yesterday - but it's not here! Amazing how precious that one strawberry is! I would love to be growing a passionfruit vine and a few strawberry patches. Your site seems fine to me. I have been able to comment very easily. Wonderful thanks for your help with this! Okay, it's now very easy to comment except you have the captcha thing. It's not a problem but if you want to make it easier for people to comment, I would suggest removing it. But it's a matter of working out how to do it - therein lies the problem. And I'm sorry I can't offer any assistance as it's a blog thingy and I'm on wordpress! Really appreciate your attention to this - many thanks. 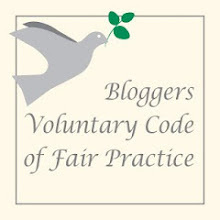 Absolutely delighted that you have signed up for the Bloggers Voluntary code of fair Practice. Although you are already completely transparent in your style .. it's great to see all the same. Trying not to do the wrong thing by anyone - accidents do happen I know but hopefully these will be few !